Supplier & Wholesaler of Water Cooler for Colleges . Our product range also comprises of Air Conditioners, Split Air Conditioners and Water Coolers in Pune. 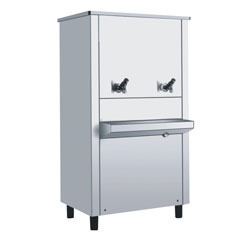 Backed ourselves with sound amenities and talented personnel, we have emerged as one of the leading firms of superior quality of Water Cooler for Colleges that is made available is numerous technical specifications. Further, this water cooler is designed and manufactured by our vendors’ deft professionals using premiums quality components and innovative technology. Moreover, our offered water cooler is well known among our honorable clients due to its significant features given below. We Deals in Pune, Maharashtra. Looking for Water Cooler for Colleges in Pune ?